Although no real eBay equivalent exists in Norway, the English version is popular with Norwegian buyers, sellers. With Norwegian krone & shipping support. 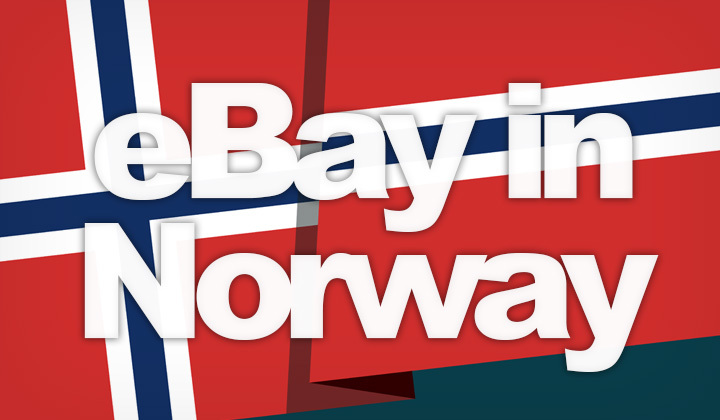 Click here for English version of eBay in Norway! Sites most similar to eBay in Norway are for old-fashioned classified ads. No company has any of the extensive eBay features for buying, selling & auctioning items. So despite the lack of Norwegian language support, eBay remains useful and popular in Norway, as most shoppers are also accustomed to English. Step 3. Look for “Location” settings. Step 4. Select Norway in the “Located in” drop-down menu. Step 5. Search for items from Norwegian eBay sellers! Thanks to the free trade agreement within the EU, you can also simply check the “Europe” tick box, under “Item Location” options when searching for items normally. No import duties are applied, and shipping to Norway is affordable. The same eBay site version supports the display of pricing in Norwegian krone currency for those who’s internet connection is located within Norway. This means, that as long as your IP address is from Norway, all prices are automatically converted to NOK when browsing the site. If you want to see items in USD or with their original currency, navigate to “Customize” under View options at the top of your search. And unselect the box that says “Convert prices to NOK”. Finally click on “Apply changes”. As the eBay market has many buyers from Norway, it’s also a convenient channel for international sellers to reach them, with an easy English interface. For more information, see eBay’s Global Shipping Program which supports a range of delivery, and selling options to Norway & rest of Scandinavia. While there is really no website I can recommend as an equivalent, those who don’t mind going the old-fashioned route, classified ads are still somewhat popular in Norway. And they are the only sites that are a little similar to eBay’s system. If you want to connect with sellers in Norway directly, FINN.no is the most active classified ads websites in the country. It’s been around since 2000, and most people are familiar with it, famous for buying used cars, household items, etc. Also note that the site is strictly in Norweigan only. No English is supported, and also the site is meant for those located in the country, as shipping for the majority of sold items is for Norway only. However, this is negotiable with sellers. I hope that answers the question, “is there eBay in Norway?”. Ideas for any equivalent or similar enough sites below! I’d like to inform my readers that some of the similar to, or equivalent to posts on my blog contain affiliate links. This won’t affect your experience when clicking through to other sites, and helps me tremendously. Thank you! David.